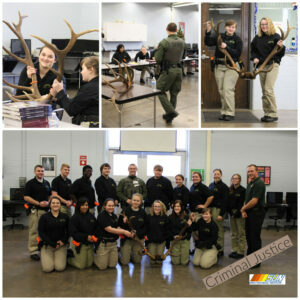 Cadet Charles Shuster, current cadet at the Pennsylvania Game Commission’s Ross Leffler School Of Conservation, came to talk to Criminal Justice students about the requirements to become a Game Warden in Pennsylvania and life at the academy. Check out this video of the Shullwood Portable Sawmill Demonstration at SUN Tech! https://www.sun-tech.org/wp-content/uploads/2018/12/IMG_8032-e1544027085761.jpg 5184 3456 Shayna Baker https://www.sun-tech.org/wp-content/themes/sun-tech-enfold-child/svg/logo.svg Shayna Baker2018-12-05 11:25:312018-12-05 11:25:31Check out this video of the Shullwood Portable Sawmill Demonstration at SUN Tech! 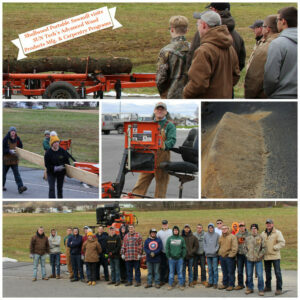 Shullwood Portable Sawmill, located in Muncy, PA, brought their sawmill to SUN Tech giving the Advanced Wood Products Manufacturing and Carpentry students a close look into the career of a Sawyer. Owner, Patrick Shull, spent the morning educating the students about the portable saw mill and the students assisted with off-bearing the finished lumber and stacking it. Special Thanks To Everyone at Rusty Rail! SUN Tech Presents: 2018’s Certified Nursing Assistants! Last evening 28 Health Professions students attended the CNA Pinning Ceremony where they received their Completion Certification. Guest Speaker, Jason Kauffman, spoke to those that attended about working for success even when it means overcoming obstacles. Congrats to each one of you for reaching this goal, we are proud of you! https://www.sun-tech.org/wp-content/uploads/2018/05/Group.jpg 480 640 Shayna Baker https://www.sun-tech.org/wp-content/themes/sun-tech-enfold-child/svg/logo.svg Shayna Baker2018-05-10 10:08:062018-05-10 10:08:06SUN Tech Presents: 2018's Certified Nursing Assistants! Are you a Junior at one of the following districts? If so, it’s not too late to contact your guidance counselor to sign up for one of our 18 unique programs! Don’t miss the opportunity to learn a trade and obtain certifications in your field! 186 Industry Certifications were earned by our 2017 graduating class! Did you know: Many of our classes offer Penn College Credits though our PC Now Dual Enrollment Program! We also offer a Prime-Time Adult Program. Whether you are just graduating or have graduated 10 years ago, this could be the hands-on opportunity you are looking for! Attend day classes and complete the program in 9 months for the low cost of $6,500! 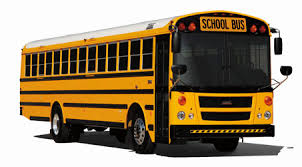 (cost doesn’t include clearances, uniforms, program kits, certification costs) Contact us at (570) 966-1031 ext. 125 or sbaker@sun-tech.org for more information about the Adult Program. https://www.sun-tech.org/wp-content/uploads/2018/05/Diesel2018.jpg 480 640 Shayna Baker https://www.sun-tech.org/wp-content/themes/sun-tech-enfold-child/svg/logo.svg Shayna Baker2018-05-08 13:14:072018-05-08 13:15:142018/2019 Enrollment still open! What Makes A Good Blood Drive? Is it the people that donate? Realizing that you can save a person’s life by doing so? HOSA students at SUN Area Technical Institute ran various successful blood drives throughout the year. HOSA had 26 good donors the first blood drive, 30 at the second, and 33 at the third. The final blood drive of the year produced 21 additional pints for a grand total of 110 pints. SUN Area Technical Institute has earned $2,000 in scholarships for the students by hosting these blood drives through the American Red Cross. SUN Tech has also received an award for all the past blood drives and volunteering in the community. The District Supervisor for the American Red Cross is Leon Tillman who is able to adjust and accommodate the blood drives to fit the needs of the providers. Leon will be attending our upcoming Awards Ceremony to present the scholarship awards to the recipients. https://www.sun-tech.org/wp-content/uploads/2018/05/Blood-Drive.jpg 683 1024 Shayna Baker https://www.sun-tech.org/wp-content/themes/sun-tech-enfold-child/svg/logo.svg Shayna Baker2018-05-04 12:27:472018-05-04 12:37:12What Makes A Good Blood Drive? The Council of Presidents at SUN Area Technical Institute in New Berlin is a group of class presidents who come together to lead the school in many different fundraisers, community service, and school activities. This school year has included raising $578.75 during breast cancer awareness month, collecting 2195 items during November for Feed a Friend, raising money for SkillsUSA / HOSA in November at Wal Mart, assisting lighting luminaries for Riverwoods in December, and a winter clothing drive in December and January. The Council of Presidents also supported the Cruise In, a Christmas Wreath challenge, a chicken wing eating contest, the first community auction, and a volleyball tournament. A busy year for a busy group! 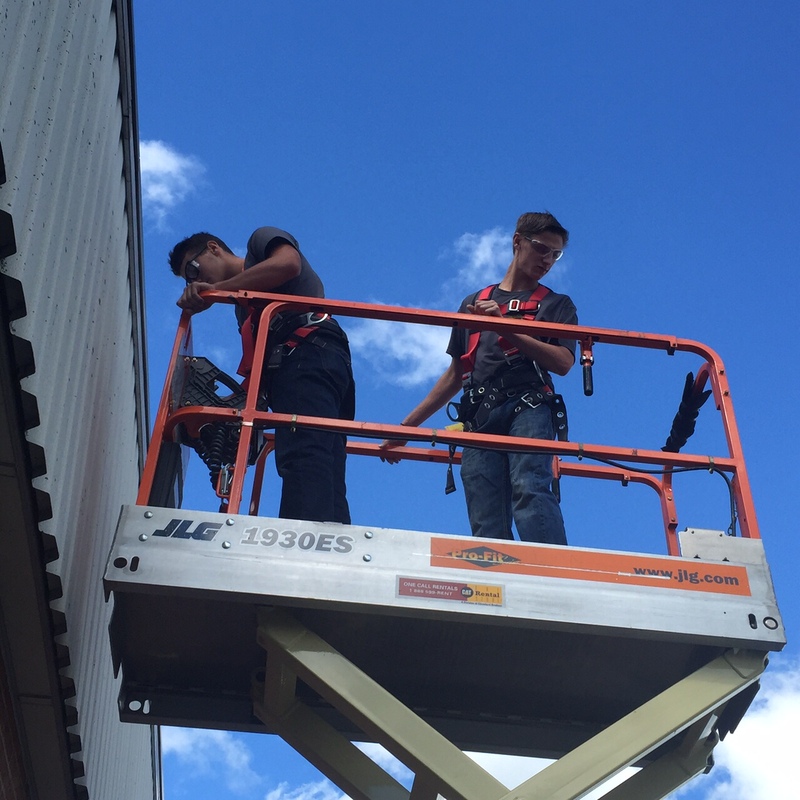 Back Row (L-R): Cameron Roush, Daniel Keister, Thayne Hummel, Jedell Sanchez, Sean Wagner, Jacob Shetler, Vincent Bender, John Merroth, Jr.
Electrical students participate in OSHA training and safe operations of a lift. 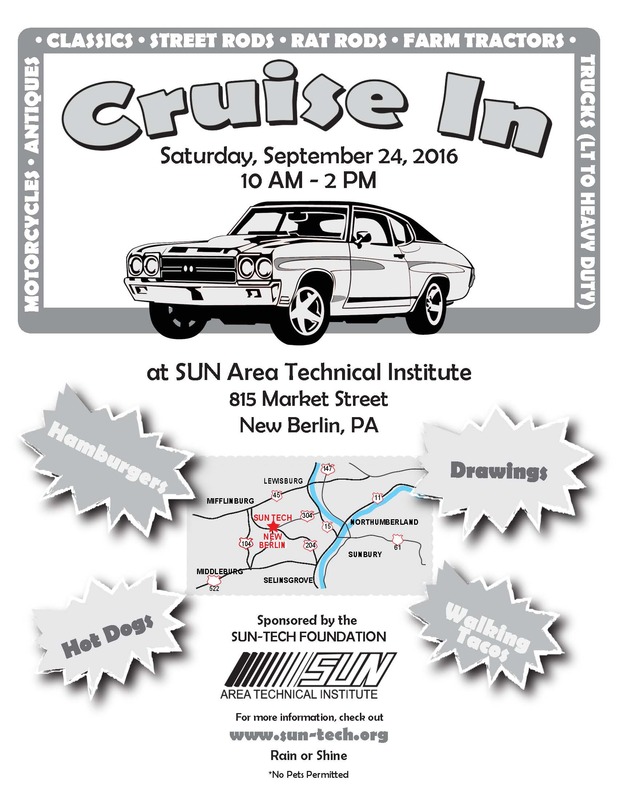 Stop by SUN Tech tonight up until 6:00P.M. to sign up for any of our Adult Education classes or get more information. It’s never too late to start something new!